Eric Anderson, band director at Verona Area High School, and Lynette Schultz, an English teacher at Williams Bay Jr./Sr. High School, will be honored Sunday, May 4 with Lawrence University’s 2014 Outstanding Teaching in Wisconsin Award. They each will receive a certificate, a citation and a monetary award from Lawrence President Mark Burstein in ceremonies at the president’s house. Their respective schools also will receive $250 for library acquisitions. The recipients are nominated by Lawrence seniors and selected on their abilities to communicate effectively, create a sense of excitement in the classroom, motivate their students to pursue academic excellence while showing a genuine concern for them in and outside the classroom. Since launching the award program in 1985, Lawrence has recognized 62 high school teachers. Anderson has directed the concert band, wind ensemble and symphonic band while also teaching AP music theory at Verona High School since 2006. Additionally, he directs pep band, oversees rehearsals for school musicals and organizes tours around the country for all of the band students. Lawrence senior Catie DeMets called Anderson “one of my most influential mentors” in nominating him for the award. A member of the National Association for Music Educators, Anderson serves as conductor/music director as well as board member of the Verona Area Concert Band and also sits on the board of directors of the UW-Madison School of Music Alumni Association. 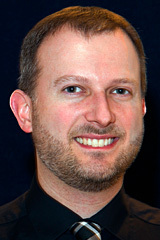 Anderson, who began his teaching career in 1999 as band director at Stoughton’s River Bluff Middle School, earned a bachelor’s degree in instrumental music education from UW– Madison and a master’s degree in education media design and technology from Full Sail University. Schultz joined the Williams Bay English department in 2011, where she teaches English 10 and 11, AP English, college prep reading & writing and is the faculty advisor for the school’s Forensics team, creative writing club, and drama club. 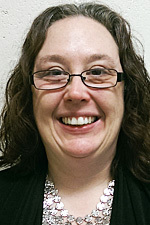 She previously spent three years at Kenosha’s St. Joseph High School, two years at her alma mater, Webster High School, and two years as a Title VII/home school coordinator for the Saint Croix Ojibwe Tribe in Hertel. In addition to her classes at St. Joseph’s, Schultz coached the Forensics team (speech and debate) and oversaw the school newspaper and yearbook. Senior Lindsay Browne, a three-year student of Schultz’s at St. Joseph’s and a 2010 graduate of the school, said “nothing could have better prepared me more for my future life at Lawrence than Ms. Schultz’s mentorship” in her nomination letter. Schultz earned a bachelor’s degree in English from UW-River Falls.